No Christmas tree is complete without the American Pride Christmas Ball. 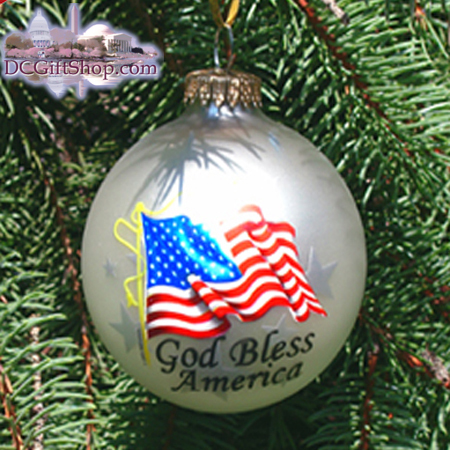 This silver ball is 3" in diameter and celebrates American Pride with the red, white, and blue of the American Flag and the words, "God Bless America" underneath. Whether you are looking for a holiday ornament, a tree ornament, or Christmas collectable, this gift will make any Christmas a White Christmas.